Ever since my first contact with 360 video I always felt that the primary use for this technology would be to take the viewer to places that are usually inaccessible. With my adventure/outdoor background I obviously thought about remote parts of the world, deep canyons or high summits that only the most accomplished experts can reach. And indeed, my first serious project with 360 video would take me to one of these inaccessible places, but not exactly the kind that I initially had in mind: the operation room ! I first met with Dr Jean-Daniel Rostan a few years ago, after he performed an echography on my knee following a not-so-smooth landing with my hangglider. Little did I know back then that he is one of the most respected and experienced surgeons when it comes to phlebology and venous disease! He was immediately interested in 360 video and its potential use in healthcare and training. 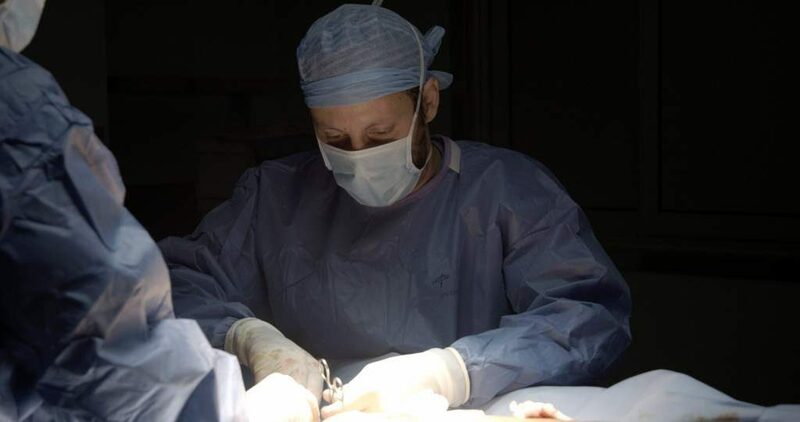 Soon enough the conversation started with the italian-based IALPH (International Academy on Laser in Phlebology) which was seeking new and innovative ways of training surgeons for endovenous laser techniques. 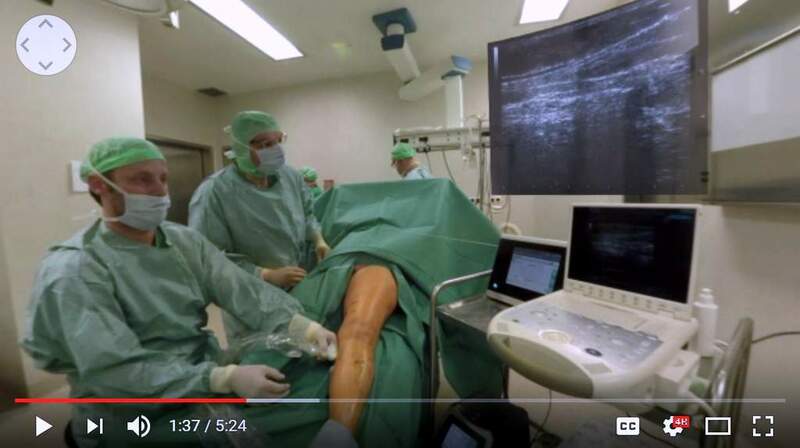 Ultimately it led to the shooting and editing of 12 clips of 2-3 min each, detailing the different steps of endovenous laser treatment for varicose veins, a very common disease that affects up to 40% of the european population. These clips will be part of the training material delivered to surgeons following the IALPH courses. It makes it possible for users to have a very good understanding of the procedure and its dynamic BEFORE actually stepping in the OR for real. Having experienced the introductory or peripheral steps of the procedure with the 360 videos, once in the OR users can focus their training on the most specialized aspects that require hands-on operations. Training and observation time in the OR is by nature limited and complex to organize due to the small capacity of these rooms. 360 video lifts these limitations. This has been a very interesting project for me. The OR is a very different field compared to what I’m used to, but in the end the challenges were pretty much the same as when I’m shooting action sports: I had to adapt to a setting that I couldn’t choose, and I had to “follow the flow”. What I mean by this is that the shooting took place during actual surgery sessions, with a rythm that wouldn’t accomodate a lot of flexbility for the needs of the shooting. 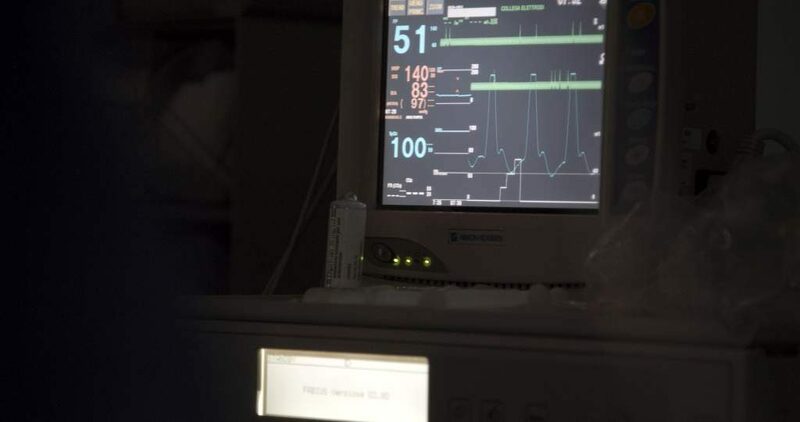 The post-production was done with After Effects, Premiere and the mettle plugins to enlarge and display the echograph screen next to the patient.